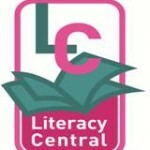 Literacy Central is an independent education consultancy who believe literacy is central to educational and life success. 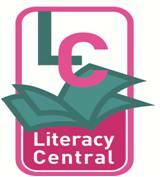 Better Reading Support Partners - Literacy Central is an independent education consultancy who believe that literacy is central to educational and life success. Working across the whole range of early years, primary and secondary provision and with other organisations, we offer tailored support and training that can be delivered onsite or at central venues. Better Reading Support Partners - BRSP is a ‘light touch’ reading intervention for pupils in Years 1 to 10 who have fallen behind at reading. A specially trained Better Reading Support Partner delivers a short one-to-one support programme to help them to develop independent reading and comprehension skills so that they can make accelerated progress and catch up with their peers. It has been developed by National Advisers from Edge Hill University in liaison with Bradford local authority, updating the authority’s earlier Better Reading Partnership, to provide a balanced approach to developing phonic skills, comprehension and the enjoyment of reading.